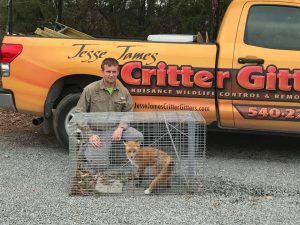 Jesse James Critter Gitters is your full service wildlife control and removal specialist of Northern Virginia. Family owned and operated since 2010. We offer a complete solution to your nuisance wildlife control problem. 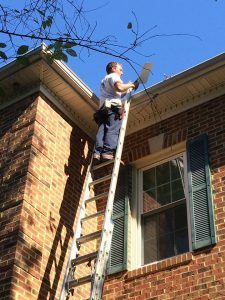 Servicing both residential and commercial properties throughout the Northern Virginia area. From Fredericksburg city North covering all of Culpeper County, Fauquier County, Stafford County, Prince William County, Loudon County, Fairfax County, Arlington County; and the cities of Manassas, Fairfax, Fairfax Station, Burke, Reston, Springfield, Centerville, Ashburn, Aldie, Falls Church, Great Falls, Sterling, Leesburg, Alexandria, Lorton, Clifton, Woodbridge, Dale City, Gainesville, Haymarket and Warrenton. As fully licensed Commercial Wildlife Control Operators with the Virginia Department of Game and Inland Fisheries for nuisance wildlife control. We and specialize in removal of raccoons, beavers, squirrels, skunks, groundhogs, snakes, big foots, birds, opossums, moles and bat exclusions. 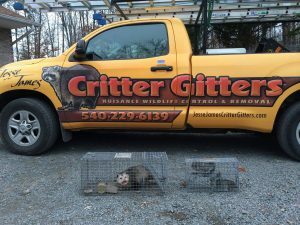 Jesse James Critter Gitters offers many wildlife control services across Northern Virginia. Including but not limited to: wildlife trapping, wildlife removal, wildlife cleanup, animal trapping, wildlife proofing, repair of wildlife damages, Emergency animal removal. We also perform wildlife exclusion work to prevent future wildlife from entering or damaging your structure. We also provide complete home inspections. To insure if and where the animals are gaining entry and then decide on a plan to combat your nuisance wildlife issues. We are passionate and committed in providing a positive Critter Gittin’ experience for both the animals and the clients. Members of the National Wildlife Control Operators Association. Virginia Wildlife Damage Management Association and Virginia Trappers Association. We are also certified by NWCOA with certifications for Wildlife Operator and Bat Standards Certified. Also offer emergency services incase an animal is causing a threat or health concern.